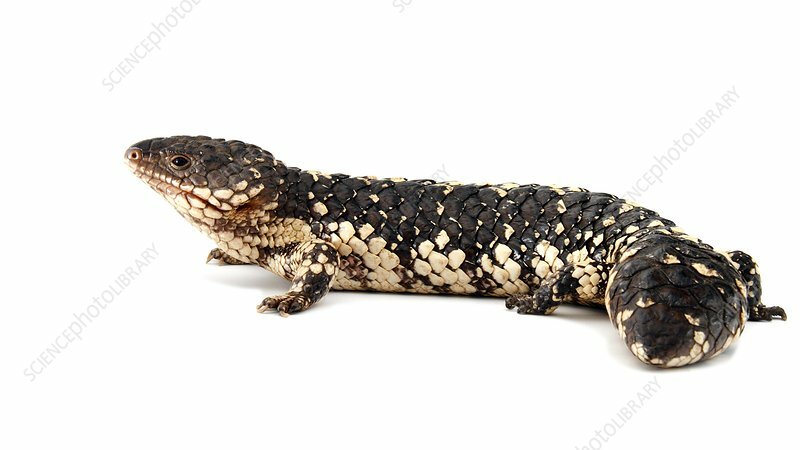 Shingleback skink (Tiliqua rugosa). This blue-tongued lizard, also known as the stumpy-tail lizard, is endemic to southern Australia. Its tail is very short and is often mistaken for its head by predators. It may bite if threatened, but it is not venomous.